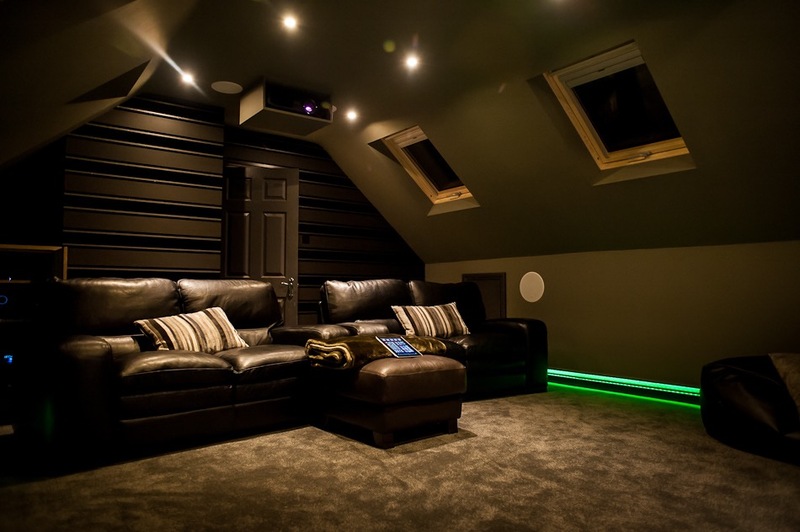 When deciding on the best location for your new home cinema, your loft might not be the first space you would think. Check out our latest case study, a perfect example of converting an unloved space into your very own cinema. 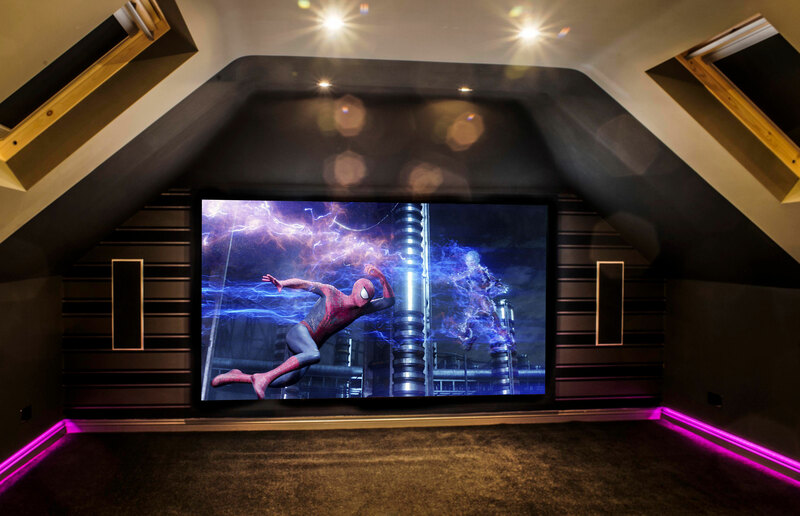 Control 4 is at the heart of this amazing cinema experience; with the touch of a button the electric blinds come down, lights dim and your movie will start. Smart RGB (Colour) lighting and blind automation is controlled seamlessly by Rako, which feeds back information to Control 4 for perfect functionality. To ensure the perfect ambient temperature in the cinema we designed and installed Nest thermostats, which allow complete heating control directly from Control 4. The cinema has a 7.1 Channel Surround Sound system which completely immerses you into the movie. With the real star of the show being the Bowers & Wilkins DB1 Subwoofer delivering bone shackling bass to any action scene. What’s next for this truly awesome cinema room? Dolby Atmos perhaps!